We’re really excited to share this simple soft cheese recipe with you so you can make your own cheese at home…from scratch! 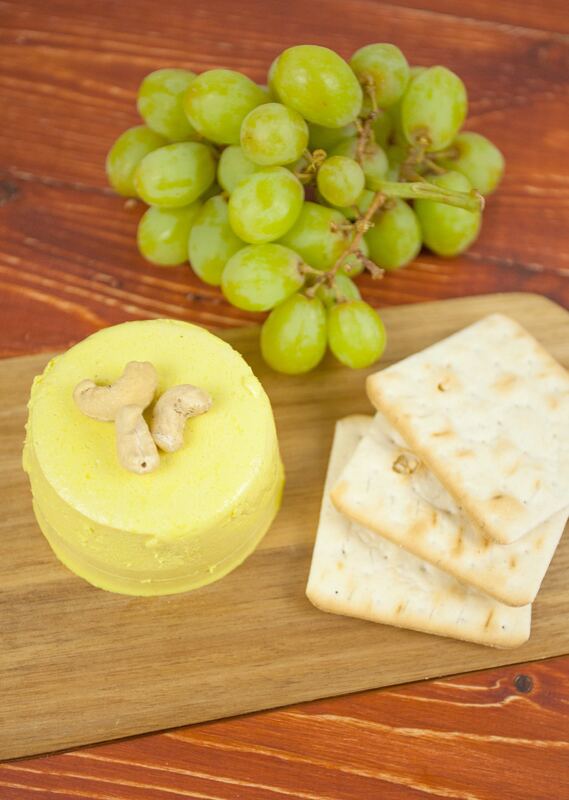 It’s rich, creamy from the cashews, and it’s great for spreading over crackers. I’m always keen to learn as much as I can about the ingredients in the food I eat. The more I can strip back recipes to their basic ingredients, the more I understand about recreating interesting meals at home. This cheese recipe is no exception, stripped back to it’s raw form, this is a really easy and impressive recipe for any dinner table. We add a little turmeric to give the recipe a yellow colour, but this it up to you! The cheese will become firmer the longer you leave it in the refrigerator. 1. Soak the cashews in hot water for at least 30 minutes. 2. Add 1/2 cup water to a pan and pour the agar flakes on top. Heat the mixture until it starts to boil, stirring occasionally, and simmer for a further 2-3 minutes. 3. Add the cashews, lemon juice, nutritional yeast, garlic, 1/4 cup water, salt and turmeric to a blender. Then, add the agar mixture and blend for roughly 20 seconds or until the mixture is smooth. 4. Lightly grease a small ramekin and pour in the cheese mixture. 5. Refrigerate for a minimum of 2 hours before serving.